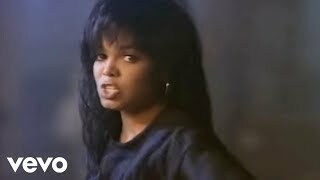 Provided to YouTube by Universal Music Group Let's Wait Awhile · Janet Jackson Control ℗ 1986 A&M Records Released on: 1986-01-01 Producer, Associated Performer, Rhythm Arranger, Vocal Arranger: Jimmy Jam Producer, Associated Performer, Rhythm Arranger, Vocal Arranger: Terry Lewis Producer, Co- Producer, Associated Performer, Rhythm Arranger, Vocal Arranger: Janet Jackson Associated Performer, Vocal Arranger: Melanie Andrews Studio Personnel, Mixer, Engineer: Steve Hodge Studio Personnel, Asst. Recording Engineer: Steve Wiese Composer Lyricist: Melanie Andrews Composer Lyricist: James Harris Composer Lyricist: Janet Jackson Composer Lyricist: Terry Lewis Auto-generated by YouTube. 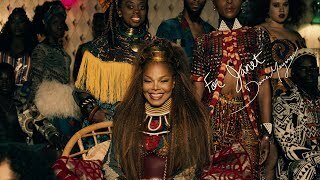 Provided to YouTube by Universal Music Group Love Will Never Do (Without You) · Janet Jackson Design Of A Decade 1986/1996 ℗ 1989 A&M Records Released on: 1995-10-10 Producer, Associated Performer, Rhythm Arranger, Vocal Arranger, Drum, Programming, Keyboards, Percussion: Jimmy Jam Producer, Associated Performer, Rhythm Arranger, Vocal Arranger, Bass Guitar, Percussion, Background Vocalist: Terry Lewis Producer, Co- Producer, Associated Performer, Background Vocalist: Janet Jackson Studio Personnel, Recording Engineer, Mix Engineer, Associated Performer, Additional Vocals: Steve Hodge Associated Performer, Brass Band: Herb Alpert Associated Performer, Additional Vocals: Rene Elizondo Associated Performer, Additional Vocals: Anthony Thomas Composer Lyricist: James Harris Composer Lyricist: Terry Lewis Auto-generated by YouTube. 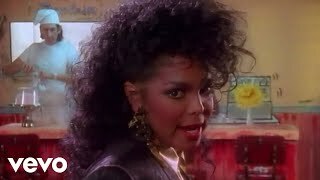 Provided to YouTube by Universal Music Group Alright (Remix) · Janet Jackson Best Of Number Ones ℗ 1990 A&M Records Released on: 2010-08-31 Producer: Terry Lewis Producer: Jimmy Jam Producer: Janet Jackson Producer: John McClain Producer: Shep Pettibone Associated Performer, Rap Vocalist: Heavy D Composer Lyricist: Janet Jackson Composer Lyricist: James Harris Composer Lyricist: Terry Lewis Auto-generated by YouTube. Provided to YouTube by Universal Music Group Again · Janet Jackson Janet ℗ 1993 Virgin Records Ltd. 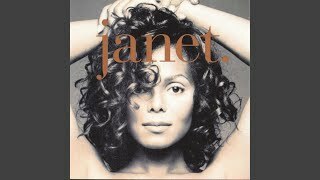 Released on: 1993-01-01 Associated Performer, Vocals, Producer: Janet Jackson Producer: Jimmy Jam Producer: Terry Lewis Composer Lyricist: James Harris Composer Lyricist: Janet Jackson Composer Lyricist: Terry Lewis Auto-generated by YouTube. 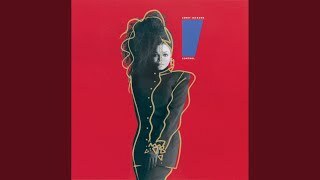 Provided to YouTube by Universal Music Group Nasty · Janet Jackson Control ℗ 1986 A&M Records Released on: 1986-01-01 Producer, Associated Performer, Rhythm Arranger, Vocal Arranger, Vocalist: Jimmy Jam Producer, Associated Performer, Rhythm Arranger, Vocal Arranger, Vocalist: Terry Lewis Producer, Co- Producer, Associated Performer, Rhythm Arranger, Vocal Arranger: Janet Jackson Studio Personnel, Recording Engineer, Mixer: Steve Hodge Associated Performer, Vocalist: Jerome Benton Associated Performer, Vocalist: Jellybean Johnson Composer Lyricist: James Harris Composer Lyricist: Terry Lewis Auto-generated by YouTube. 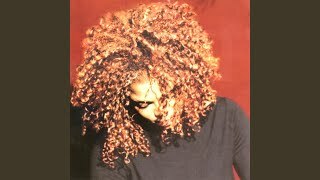 Provided to YouTube by Universal Music Group Go Deep · Janet Jackson The Velvet Rope ℗ A Virign Records America Release; ℗ 1997 Capitol Records, LLC Released on: 1997-01-01 Composer Lyricist: Terry Lewis Composer Lyricist: James Harris Composer Lyricist: Janet Jackson Auto-generated by YouTube. 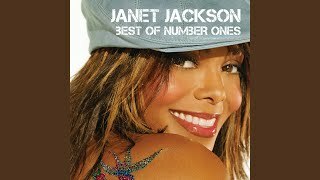 Provided to YouTube by Universal Music Group Doesn't Really Matter · Janet Jackson All For You ℗ 2001 Virgin Records America, Inc. 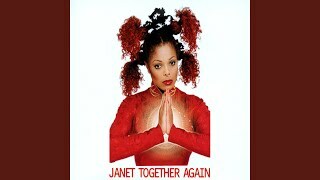 Released on: 2001-01-01 Producer, Executive Producer, Associated Performer, Vocals: Janet Jackson Producer, Executive Producer, Associated Performer, Instruments (emi Load: Do Not Use), Participant: Jimmy Jam Producer, Executive Producer, Associated Performer, Instruments (emi Load: Do Not Use), Participant: Terry Lewis Associated Performer, Drum Programming: Alex Richbourg Studio Personnel, Recording Engineer, Mixer: Steve Hodge Studio Personnel, Asst. Recording Engineer, Assistant Mixer: Brad Yost Studio Personnel, Asst. Recording Engineer, Assistant Mixer: Xavier Smith Studio Personnel, Mastering Engineer: Mike Bozzi Studio Personnel, Mastering Engineer: Brian "Big Bass" Gardner Composer: Janet Jackson Composer: Terry Lewis Composer: James Harris Auto-generated by YouTube. 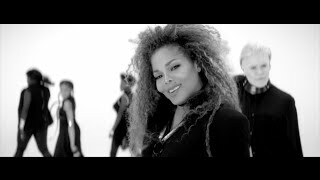 Provided to YouTube by Universal Music Group Got 'Til It's Gone · Janet Jackson · Q-Tip · Joni Mitchell The Velvet Rope ℗ A Virgin Records America Release; ℗ 1997 Capitol Records, LLC Released on: 1997-01-01 Associated Performer, Background Vocalist, Vocalist, Rhythm Arranger, Vocal Arranger, Producer: Janet Jackson Associated Performer, Rap Vocalist: Q-Tip Producer, Associated Performer, Rhythm Arranger, Vocal Arranger: Jimmy Jam Producer, Associated Performer, Rhythm Arranger, Vocal Arranger: Terry Lewis Studio Personnel, Mixer: Steve Mac for Rokstone Productions Producer: Terry Lewis For Flyte Tyme Productions Studio Personnel, Recording Engineer, Mixer, Engineer: Steve Hodge Studio Personnel, Asst. Recording Engineer: Xavier Smith Studio Personnel, Mastering Engineer: Mike Ozdozzi Associated Performer, Drum Programming: Alex Richbourg Studio Personnel, Asst. Recording Engineer: Brad Yost Studio Personnel, Asst. Recording Engineer: Michael McCoy Studio Personnel, Mastering Engineer: Brian "Big Bass" Gardner Composer Lyricist: Janet Jackson Composer Lyricist: Terry Lewis Composer Lyricist: James Harris Composer Lyricist: Rene Elizondo Jr. Composer Lyricist: Joni Mitchell Composer Lyricist: Kamaal Ibn Fareed Auto-generated by YouTube. 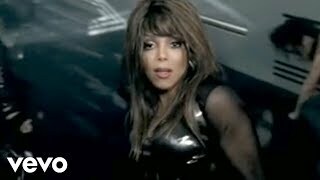 Provided to YouTube by Universal Music Group All Nite (Don't Stop) · Janet Jackson Damita Jo ℗ 2004 Virgin Records America, Inc. 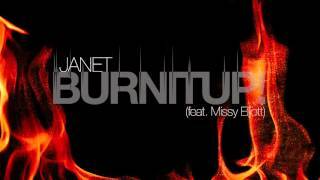 Released on: 2004-01-01 Producer, Executive Producer, Associated Performer, Recorder: Janet Jackson Producer, Programmer, Associated Performer, Recorder: Arnthor for Murlyn Music Producer, Programmer, Associated Performer, Recorder: Bag for Murlyn Music Producer, Studio Personnel, Recording Engineer: Bag Producer, Executive Producer: Terry Lewis for Flyte Tyme Productions Inc Producer, Executive Producer: Jimmy Jam for Flyte Tyme Productions Inc Associated Performer, Bass: Magnum Coltrane Price Producer, Studio Personnel, Recording Engineer: Arnthor Birgisson Associated Performer, Horn: Goran Kajfes Associated Performer, Horn: Per Ruskträsk Associated Performer, Programming: Anders Herrlin Associated Performer, Programming: Jennie Löfgren Studio Personnel, Asst. Recording Engineer: Henrik Brunberg Studio Personnel, Assistant Mixer: David Treahearn Studio Personnel, Asst. Recording Engineer: Rob Haggett Producer, Associated Performer, Recorder: AB for Black Doll Inc Studio Personnel, Mixer: Mark 'Spike' Stent Programmer: Lee Groves Composer Lyricist: Janet Jackson Composer Lyricist: James Harris Composer Lyricist: Terry Lewis Composer Lyricist: Tony Tolbert Composer Lyricist: Anders Bagge Composer Lyricist: Arnthor Birgisson Composer Lyricist: Herbie Hancock Composer Lyricist: Paul Jackson Composer Lyricist: Melvin Ragin Auto-generated by YouTube. Provided to YouTube by Universal Music Group Funny How Time Flies (When You're Having Fun) · Janet Jackson Control ℗ 1986 A&M Records Released on: 1986-01-01 Producer, Associated Performer, Rhythm Arranger, Vocal Arranger, Drum Programming, Synthesizer, Synthesizer Programming, Digital Piano, Percussion, Studio Personnel, Asst. Recording Engineer: Jimmy Jam Producer, Associated Performer, Rhythm Arranger, Vocal Arranger, Percussion, Studio Personnel, Recording Engineer: Terry Lewis Producer, Co- Producer, Associated Performer, Rhythm Arranger, Vocal Arranger, Synthesizer, Vocals: Janet Jackson Studio Personnel, Asst. Recording Engineer, Mixer: Steve Hodge Associated Performer, Acoustic Guitar: O'Nicholas Raths Associated Performer, Background Vocalist: Melanie Andrews Composer Lyricist: James Harris Composer Lyricist: Terry Lewis Auto-generated by YouTube. 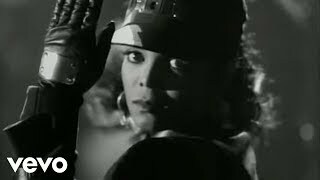 Provided to YouTube by Universal Music Group You Want This · Janet Jackson Janet ℗ 1993 Virgin Records Ltd Released on: 1993-01-01 Producer, Associated Performer, Vocals: Janet Jackson Associated Performer, Additional Keyboards: Danny Weatherspoon Producer: Terry Lewis Producer: Jimmy Jam Composer: Terry Lewis Composer: Janet Jackson Composer: James Harris Author: MC Lyte Auto-generated by YouTube. 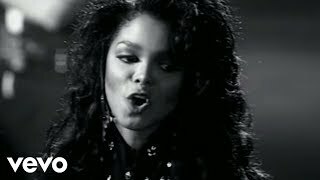 Provided to YouTube by Universal Music Group Someone To Call My Lover · Janet Jackson All For You ℗ 2001 Virgin Records America, Inc. Released on: 2001-01-01 Producer, Executive Producer, Associated Performer, Vocals: Janet Jackson Producer, Executive Producer, Associated Performer, Instruments (emi Load: Do Not Use), Participant: Jimmy Jam Producer, Executive Producer, Associated Performer, Instruments (emi Load: Do Not Use), Participant: Terry Lewis Associated Performer, Drum Programming, Programming: Alex Richbourg Associated Performer, Guitar: David Barry Studio Personnel, Recording Engineer, Mixer: Steve Hodge Studio Personnel, Asst. Recording Engineer, Assistant Mixer: Brad Yost Studio Personnel, Asst. Recording Engineer, Assistant Mixer: Xavier Smith Studio Personnel, Mastering Engineer: Mike Bozzi Studio Personnel, Mastering Engineer: Brian "Big Bass" Gardner Composer: Dewey Bunnell Composer: Terry Lewis Composer: Janet Jackson Composer: James Harris Auto-generated by YouTube.